Transparency International Kenya supported the Good Governance Reporting Award during the 2018 Annual Journalism Excellence Awards (AJEA) held on 3rd August 2018 in Nairobi. John Kamau of the Daily Nation won the Print Category while Wellingtone Nyongesa of Radio Maisha bagged the Radio category. The TV Category went to NTV’s Andrew Ochieng. TI-Kenya’s Executive Director Samuel Kimeu notes that the media is one important player in the fight against corruption whose role should not be underestimated. “As a watchdog, the media plays an important role in ensuring that the country’s resources are well managed and utilized. We therefore urge the media to keep the anti-corruption campaign alive by highlighting the loopholes used by the corrupt and the damage caused to our society,”says Kimeu. According to Media Council’s Deputy CEO and Programs Manager Victor Bwire, the Good Governance Reporting is key because it fosters transparency and accountability in the use and management of public resources. “Good governance is cornerstone of the watchdog role of the media,” said Bwire. “..a failure to situate public appointments within the ethics and integrity parameters of our Constitutional framework undermines our national journey of integrity. It perpetuates, rather than seek to eradicate corruption in our public affairs and dampens current efforts at cleaning the public sector of pervasive graft.” read part of the statement. 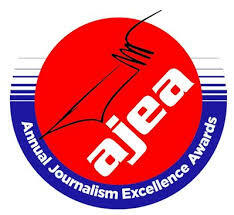 The Media Council of Kenya runs the Annual Journalism Excellence Awards [AJEA] in May each year. The awards recognize excellence in journalism, encourage professionalism in the practices of journalism as provided for by the Code of Conduct for the Practice of Journalism in Kenya and inspire Development Journalism in Kenya in respect to Vision 2030. The journalism awards encourage journalists to excel and adopt a professional style that is acutely conscious of its role as an agent of change and development in the country. TI-Kenya appreciates the key role of journalists in fighting graft and will continue to support good governance reporting – towards a corruption free society.